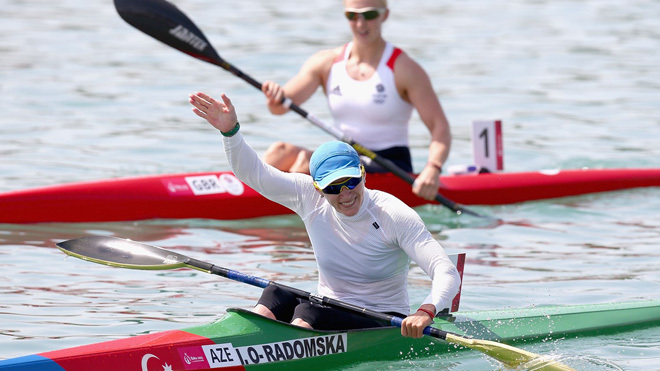 Azerbaijani athlete Inna Osypenko-Radomska has won a bronze medal in women’s 200 meters kayak single at the Rio 2016, bringing Azerbaijan its fourth medal in the Olympics. Her result was 40.401 seconds. New Zealand’s Lisa Carrington came in first, while Poland’s Marta Walczykiewicz was the second. The games, which kicked off on Aug. 5, will end on Aug. 21, and will be followed by the 15th Summer Paralympic Games on Sept. 7-18.